Joining fitness clubs and exercising regularly can help accelerate your health and fitness goals when combined with a balanced diet. But the rewards just don’t end at the scales. There are multiple reasons why you should join a gym and make exercise a regular part of your life. Going to a health and fitness club can be a fun and satisfying experience. Here is why you should consider dusting off your pass and returning back to the gym. As well as the obvious benefits of losing weight, there are also the psychological advantages of going to the gym that for some may even outweigh the physical benefits. When you exercise, you release endorphins which enhance a sense of wellbeing and produce feelings of euphoria. This can lead to an improved mood, reduced stress and anxiety, an enhanced body image and increased confidence. Some people find it more motivating to exercise in a group and enjoy the camaraderie and support of a class. 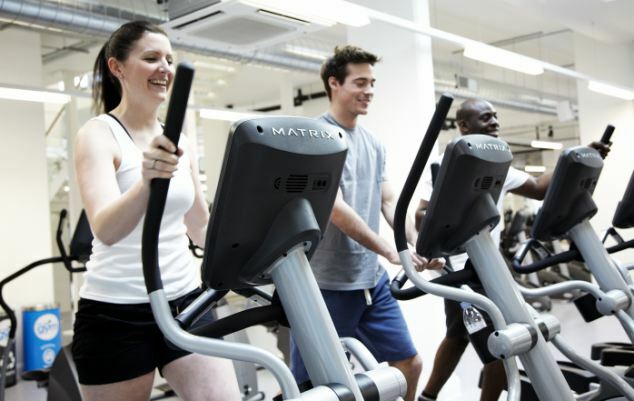 When you join fitness clubs, you may be able to attend group fitness classes such as cycling or circuit training. Even if you don’t train with a partner or in group classes and you prefer to exercise by yourself, it may inspire you to have others around you at the gym and working out in a safe and nurturing environment. When you are training by yourself at home or outdoors, it can be easier to injure yourself if you do not know how to use the equipment properly or have the right technique. However at fitness clubs, there should always be someone available like a personal trainer or fitness instructor to show how to use equipment properly. You may even be able to have a program made for you – this may incur an additional fee. Depending on the size of your gym, you may have access to a lot of different facilities such as group fitness classes, weight machines, free weights, cardio machines, personal trainers, swimming pools, spas and saunas. This allows you to vary your routine and avoid gym boredom. Your body can also get used to the same exercise over and over again so it’s good to mix it up now and again and challenge yourself. Going to the gym is a great way to meet new friends and increase your social networks. When people get older, it gets harder to meet new friends and build new relationships but going to the gym can open up your social circles. Leave your iPod at home, go to group fitness classes and smile and be approachable. You may even find that your gym has a cafe or a lounge area where you can hang out with other members. There is so much more to being a member of a gym than just physical rewards. You can keep updated with the latest health and fitness trends, it allows you to do your exercises in a controlled and safe environment, meet new friends and add a new dimension to your life. Maximize your time at the gym by finding out about all the programs and facilities your local fitness clubs offer to get the most out of your workout and membership.